Annual automotive recalls reached a new level on Monday when a massive recall of air bags was issued. Safety recalls exceeded 2013 levels during the first six months of 2014. The automotive industry is on alert to prevent safety problems from expanding without intervention. Defective explosive charges designed to inflate the air bags in automobiles might expel metal shrapnel into the auto interior injuring passengers during a car accident. Automotive companies have recalled at least 31.4 million cars in the United States so far this year, exceeding the automotive industry’s annual recall record of 30.8 million, which was set in 2004. About 3 million vehicles are involved in the air bag recall at this point, but that number is expected to grow. Inspection of each model year adds to the concern that the defective charges have been installed in millions over vehicles since 2001. Takata Corporation is the manufacturer of the air bags, which are installed in BMW, Chrysler, Mazda, Ford, Nissan and Honda vehicles. Concerns over the use of common parts is rising because of the safety problems that can arise across the entire industry. Automakers have adopted a practice of sharing platforms and installing the same part to reduce overhead costs. One defective part involves millions of vehicles under this approach. Automakers take individual approaches to the air bag recall. Nissan and Honda will recall the air bags. BMW, Chrysler, Ford and Mazda have filed recall documents with the National Highway Traffic Safety Administration, or NHTSA. Toyota is ahead of the others with a recall for this defect that has already started. Each automaker will label the air bag action with unique terms. 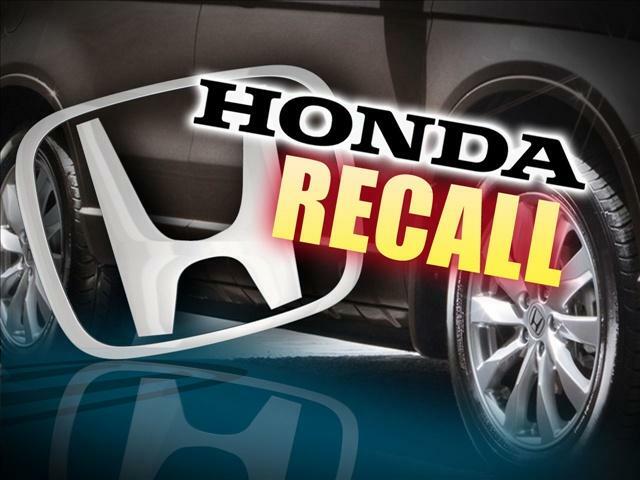 Honda will recall approximately two million vehicles in model years since 2001. Nissan is recalling 228,000 vehicles across North America. Mazda will call their recall a “special service program” to address defective air bag systems in 34,600 cars and trucks. Chrysler and Ford are conducting a “field action” to cooperate with the NHTSA to gather the inflators from air bags. Research at the NHTSA has found that the metal canister inside the air bag assembly explodes when the propellant burns too quickly. Metal shards fly into the passenger cabin when the air bag is initiated. Driver-side and passenger-side air bags have encountered the issue in many different makes and models. Across the United States and in other countries, vehicles have been recalled for this specific issue. NHTSA has received more reports of air bag inflator ruptures to the Office of Defects. Three injuries that were tied to this defect were reported. High humidity is under investigation as a cause for the propellant in the air bag canister to burn more rapidly. More incidents have been reported in hot, humid climates, such as Puerto Rico and Florida. Investigators are considering many different factors when attempting to discover the cause for the malfunction in the air bag system. Takata Corporation has made direct contact with automakers throughout Puerto Rico, Hawaii, Florida and the U.S. Virgin Islands to inspect vehicles throughout these regions. Coastal states throughout the south will participate in the recall to prevent additional problems. Alabama, South Carolina, Louisiana, Georgia, Texas and Mississippi have hot, humid climates that might contribute to the rapid rate of propellant ignition. Auto dealers want to prevent additional issues in the quest to make vehicles safe for passengers.